I added this warning story in my book, and since I am working on our newest magazine issue with a feature about Rockport, I thought it would be timely to share this here too. When you use Instagram as your travel guide, always do your travel research via other means as well. Remember that some people are not great photographers and they can make even the most beautiful location look not so great – and great photographers can make almost any location look amazing. Some people misuse the tags, and the gorgeous photo someone has tagged as a certain location might not even be in that country, not to mention in the city. Instagram content comes from real people and there are as many bad users as there are good ones, so be warned that the information might not always be accurate. There can also be many places with the same or similar names. The #parishotel you find might not be in Paris, but it’s a hotel called Paris in Las Vegas, and you can’t find the #manhattanbeach from New York where #manhattan is. Use common sense when using Instagram as your travel guide, and always fact check. This kind of reminds me of another thing that inspires me to travel to specific locations – seeing locations on movies. I saw the movie The Proposal (2009) with Sandra Bullock and Ryan Reynolds and was determined to travel to Sitka, Alaska, after seeing the gorgeous scenery in the movie. Thankfully I mentioned about this to a traveling friend Linda Jager, who said while the movie was set in Sitka, the filming location was actually Rockport, Massachusetts. Luckily for me, visiting Rockport was much easier since at the time I lived in New York, and I was able to make this movie location travel come true very easily the following summer. Imagine my disappointment if I had booked an expensive trip to Sitka only to find it looking nothing like I had expected? Although… I’m sure Sitka is great, but at least according to #sitka and #sitkaalaska photos on the Instagram, it’s nothing like Rockport, MA. This story also has two sides. You might think a Hollywood movie doesn’t have anything to do with you, and neither does this story. In fact it has more to do with you than you’d think. You have more influence online than you think, and your actions could misguide people. Be honest, tell the entire story. Don’t misuse hashtags just because you want more people to see your photos. It is much better to be known for your integrity than as a person who dumps 30 irrelevant hashtags on each photo in the hopes of getting more followers. Be helpful, and answer questions. Connect with people, be more human. 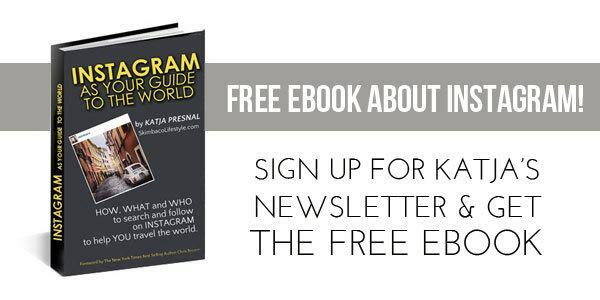 Don’t think of Instagram as a broadcast tool, but as an online community of your friends. Even when you are the star of your one man or woman reality Instagram show, and your “audience” is only a handful of friends, they are influenced by your message and your photos. This week an Instagram account YouDidNotEatThat got an attention of many women’s websites as the account “calls out” for thin young women, often well-known Instagrammers, who pose with a doughnut, or ice cream, or other unhealthy food, that make cute photos, but most likely the model-sized girls would not eat. I am not really a fan of the “calling out” tactics, but I do agree – it is a great discussion starter and a wish for more integrity for the Instagram photos we all post. I personally admit – I have been on press trips, where we are in a bus and scream “stop” for the driver to stop for a great photo opportunity, and we all run out to snap photos. Then someone posts a picture of “this was such a lovely day of relaxing in this beautiful scenery” although we only spent 5 minutes there, just taking the picture. I understand that our job as journalists is sometimes just to “snap the picture” and hope someone else will have time to go back to the place to enjoy the “relaxing beautiful scenery,” but whether we are journalists, bloggers, Instagrammers, I do wish more integrity and honesty, even when we are just trying to see the silver lining and see the most beautiful part of life and the world. Having integrity doesn’t mean that you have to be brutally honest either, and Instagram is a form of art and I personally like to only look “happy pictures” – but don’t tell a story that isn’t true. Summa summarum, always be an Instagrammer with integrity or you might end up sending someone to “Alaska”. Ahhh…calling out. I love, love, love this. One of my favorite subjects to see on my IG feed happens to be happy children. But when I see kids overtired, pouting and clearly not in the moment, but the the caption says, “We’re having the best time!” or “The kids are so happy to be here!” I have to do the eye roll. I’ll be honest, when I read your title I had no clue of where you were going with this topic… but I found it to be both interesting and valuable advice! As a side note, any tips on where I can vacation to see Ryan Reynolds, preferably with his shirt off?! ;) Ha! 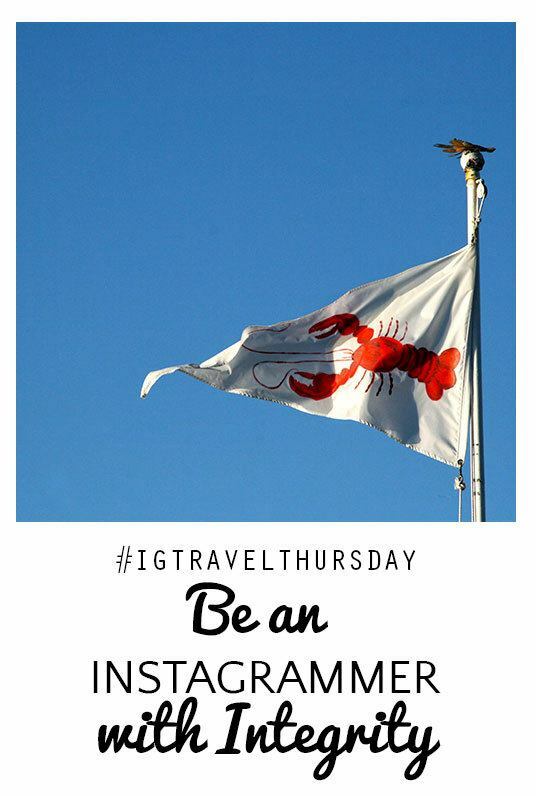 This is my first week joining #IGTravelThursday, and I’m really enjoying it. You’ve gathered a fantastic group here – thanks for hosting. Such a great topic! I’m a huge INSTA fan… I like to post as it happens for the most part and when I don’t.. I feel very uncomfortable – even though I know I shouldn’t. I think most forget that there’s a world out there watching and relying on us for info and that we owe an honest look at things. This is definitely a hot topic in influencer circles. I had no idea that movie was not shot in Alaska! That’s hysterical!